what is funny about it ? 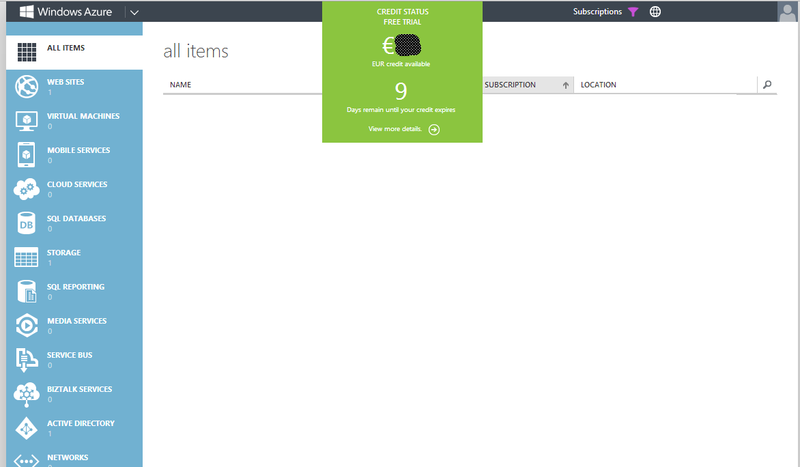 just because back in the summer of 2013, I was dealing with a Azure training, and there wasn’t a way to see the credit status from the management portal itself, but you could only see it if you are an administrator of the subscription from the account panel management. After a couple of weeks, they added this functionality and I had to speak back to the customer and say that now this was there, but that’s normal with window azure because they’re following the agile pattern and they release every 2/3 weeks.